Dyeing my hair is not something I took lightly or did on a whim. I loved my silky texture and chocolate-y shade, and I feared coloring my hair would alter both...for the worse. So, I let my dark mane get tinged with tinsel until it made me feel insecure (there were too many silver strands to count). Earlier this year, I took control of my hair fate by visiting the godmother of color, Rita Hazan. She is the owner of her eponymous hair care line and high-end salon in NYC. Plus, Hazan has dyed the famous heads of Katy Perry, Beyoncé, and Jennifer Lopez, making her a trusted source. Hazan’s solution was the use of a vegetable-based dye just on my slivers of silver, leaving the rest of my strands untouched by chemicals. It worked brilliantly, and I went back for a touch-up after a few months. If you’re also concerned about grays and want to know your options (yes, there are choices! ), then read on. Here, Hazan breaks down all of the different ways to cover grays from root-concealing sprays to full-on color. For those who are pregnant, on a budget, or just seeking a more natural option, try a root-concealing spray, powder, or pencil (Hazan’s doubles as a brow product!). The most-popular is the hairspray option, and according to Hazan, you can use it no matter if you have a sprinkle of silver or a full head of grays. Either spot treat your small areas of gray by “striping” the spray across specific sections, or mist it everywhere, like you would a traditional hairspray. The temporary color will wrap around your hair, masking it until you shampoo it out. “The resin gives it staying power,” Hazan explains of her beloved Root Concealer Touch-Up Spray ($24). “You don’t want it to wash out of your hair [on-the-go]. You don’t want to get caught in the rain or be working out and have black [color] dripping all over your hair.” Her formula is created so it will last throughout everything from SoulCycle™ to multiple nights of sleep — all without getting on your pillow. The formula doesn’t come out until it’s met with the cleansing agents found in shampoo. Think of it like waterproof mascara that won’t smear off unless you use actual makeup remover. “There really are not a lot of ingredients in it,” adds Hazan. “It has natural pigments, some titanium oxide, color, a resin to adhere to the hair, and a propellant to make a it a spray.” She also notes that her formula, which is available in five universal shades, was made to blend into all hair hues. “It does not matter if it is warm or cool or the tone, it will match,” she says. Try the pencils and powders if you need to cover a few hairs or a small section, since it’s a more detailed way to conceal grays. The plus is that these are portable options that won’t take up much real estate in our travel or gym bag. While these very temporary methods are cheaper than dye and less of a commitment, it also means you’ll have to continuously use them to see results. If you identify as having a lazy beauty routine, then you might want to consider more permanent solutions. The next level of color — and what I personally do — is a vegetable-based dye. This semi or demi permanent option is like gloss that conceals grays, making them blend into the rest of your hair. Like the category above, it can be done on a smattering of grays or your whole head. If you spot-treat silvers, like I do, then you can avoid putting it on the rest of your natural mane. Hazan is a fan of highlights, since it’s a compromise. You can color hard-to-conceal grays, but it’s less maintenance than dyeing your whole head. 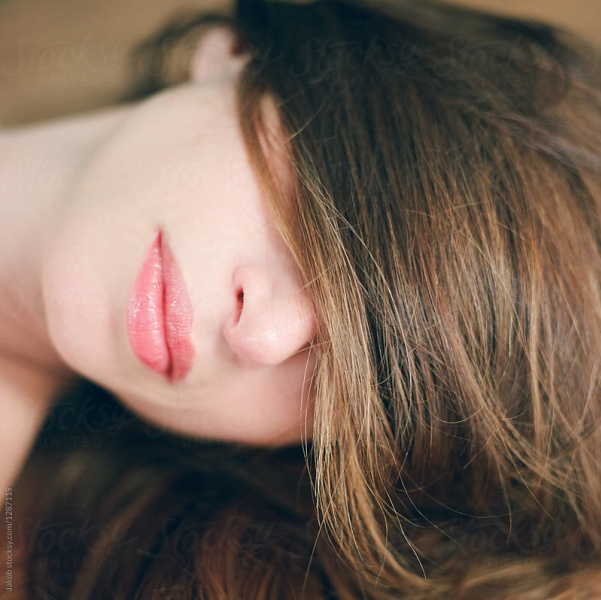 “This is a way to cover a few hairs and blend them into hair,” she notes, sharing that you will likely need to redo it every three to five months.